Just this week, out of the blue my son asked me if he has been to Malaysia already and I said yes. He doesn’t believe me at first but I told him that we’ve been to Kota Kinabalu, Kuala Lumpur and Johor Bahru Malaysia. Then he remembered the Petronas Twin Tower in Kuala Lumpur and Legoland in Johor Bahru but he can’t remember our Kota Kinabalu trip. Some people say that it is better to travel when the kids are already old because they won’t remember it when they are still young. But for me, my son may not remember it but I have pictures, videos and stories to tell. There are so many memorable stories that I can share with him. In fact, Malaysia is his first out of the country, our first family overseas adventure and the cheapest out of the country trip we’ve experienced. 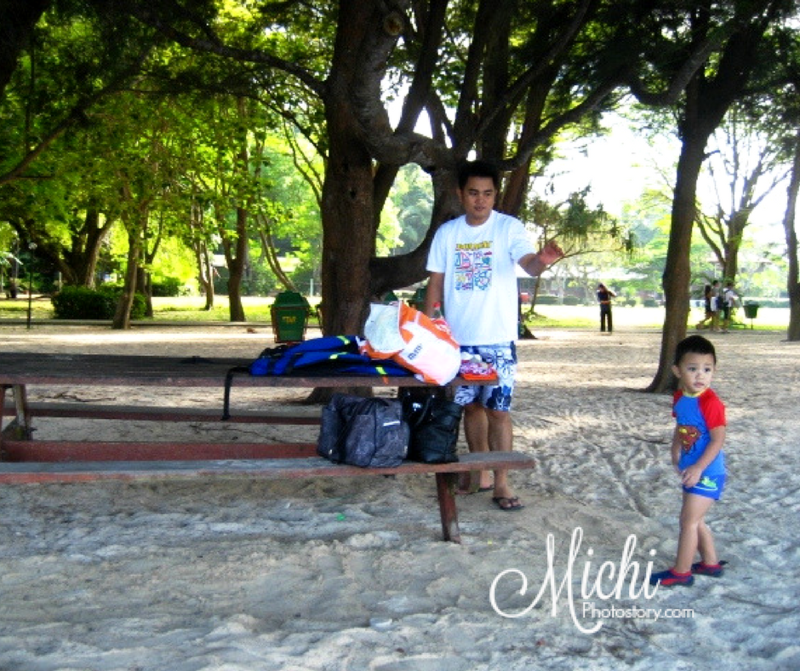 Would you believe that I only paid P2000+ for our round trip fare and that is for 3 persons. Thanks to Air Asia promo! At that time, Air Asia only flies at Clark International Airport so we traveled to Clark Pampanga and parked our car at DMIA. 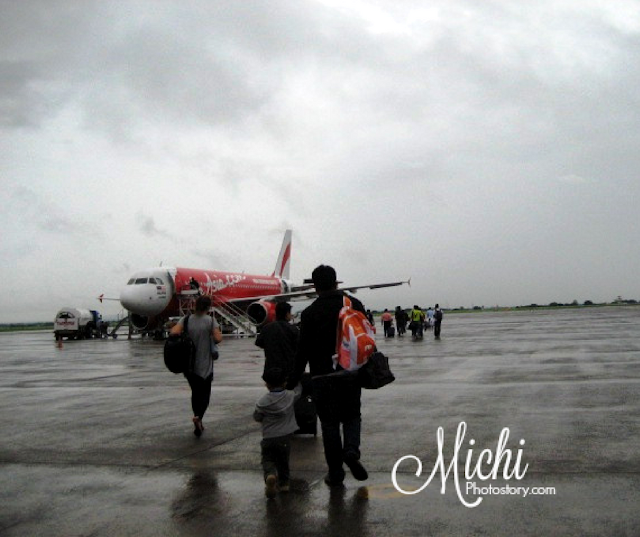 Then after few hours, we landed to Kota Kinabalu Airport, the airport is not that big so we were out after several minutes. Where we Stay in Kota Kinabalu Malaysia? I availed the airport pick-up service of City Park Lodge so we won’t have any problem in haggling for taxi rate. I’ve read before that they don’t use taxi meter there and base on our experience, kontrata nga lagi pagsasakay, I’m not sure kung ganun pa rin. 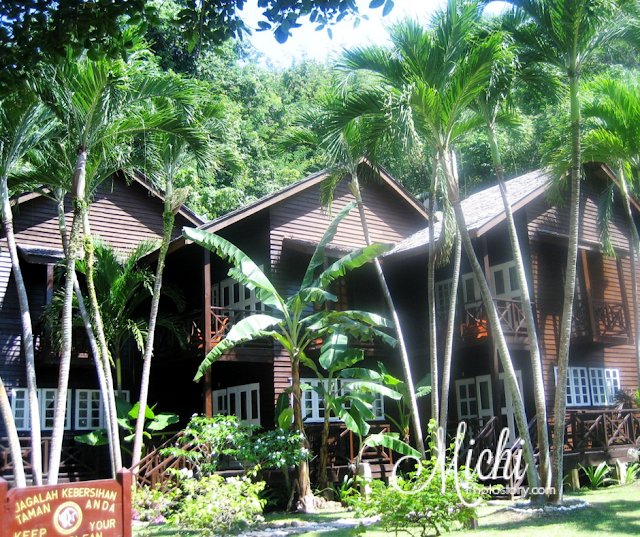 One of the reasons why our Kota Kinabalu trip was cheap is, we did not stay in hotel. 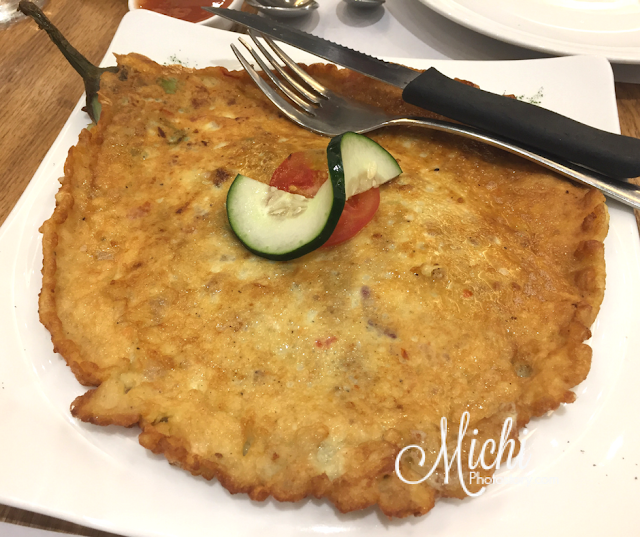 We stayed at City Park Lodge, the lodge has good location too so we just literally walk when we went to the port, restaurant, market and other tourist spots. They even gave us a coupon too that we can use for our island hopping, RM4 per person discount. 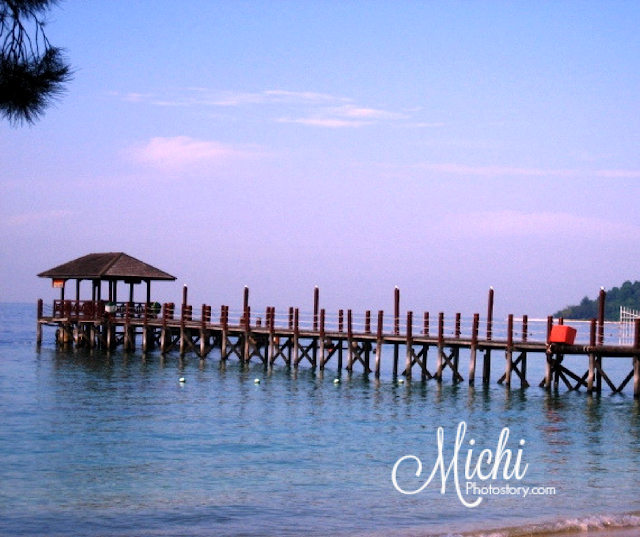 And because of our flight schedule, we have very limited time in Kota Kinabalu Malaysia. Sharing with you our trip. 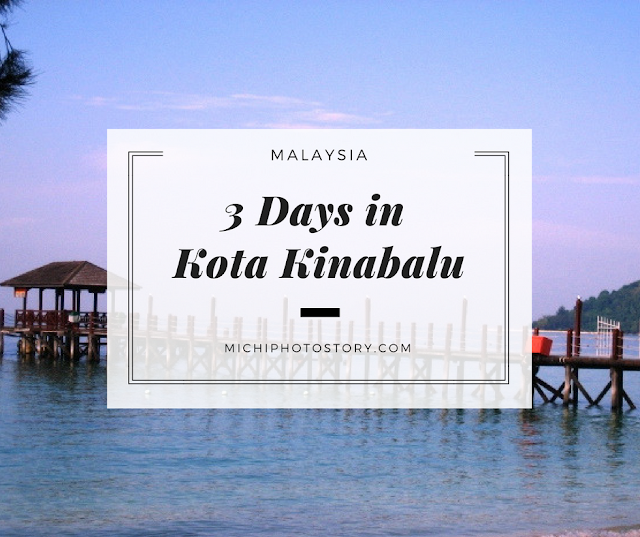 It was already late in the afternoon when we arrived in Kota Kinabalu so we just bought foods and drinks at the nearest convenience store then we had dinner at Secret Recipe. The following day, we woke up early so we can start exploring the city. From the lodge, we just walk to Jesselton Point Waterfront. 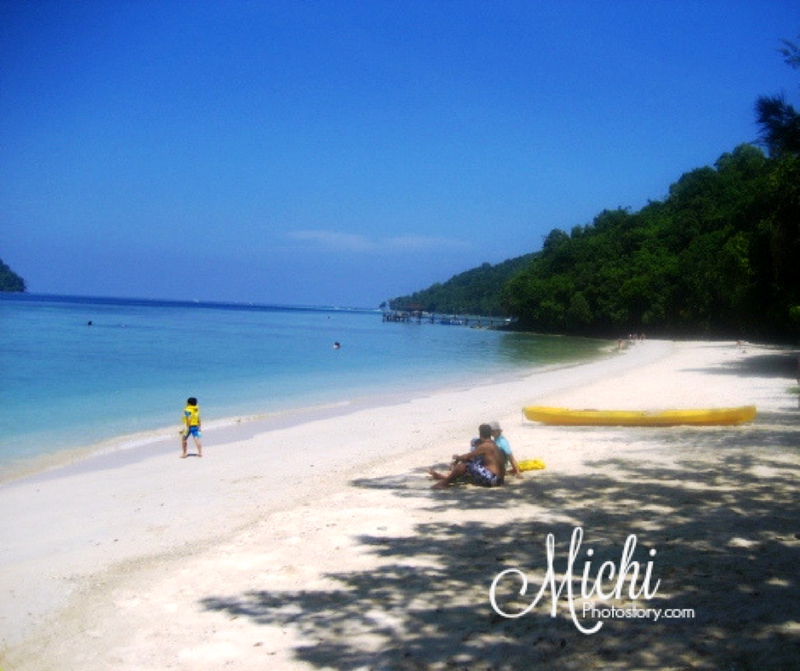 It is where we’re going to ride the boat for our Island Hopping. We can visit Mamutik Island, Sapi Island, Sulug Island and Manukan Island but because we have very limited time, we just chose one island which is Manukan Island. 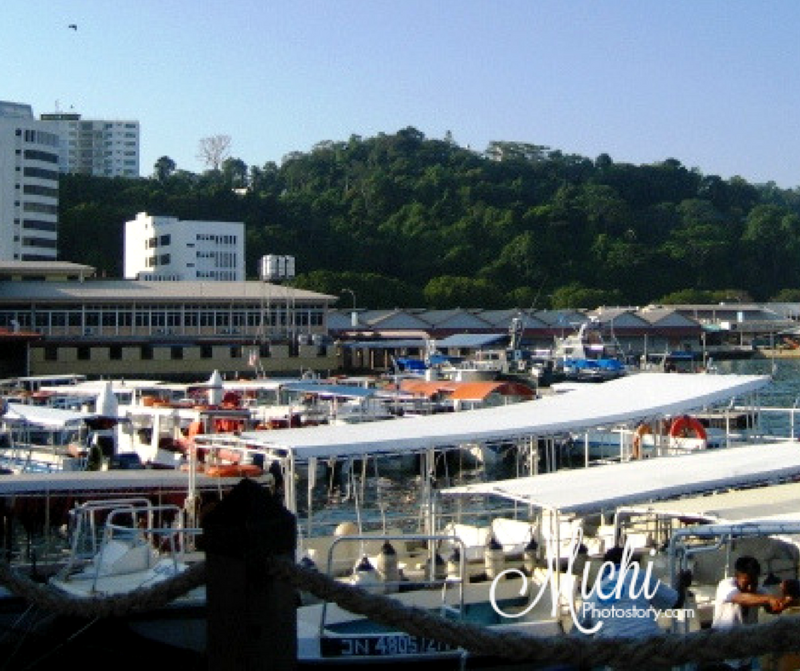 It is 15-20 minutes speedboat ride from Jesselton Point Ferry Terminal. We had a great time at the beach, this was the first time na nakapagbeach ako sa ibang bansa. We only stayed for few hours in the island and we went back to Jesselton Point. From the port, we just walked to Suria Sabah Mall to eat our lunch. Most of the time we eat at KFC because it is everywhere and some stores are open 24 hours. Some people say that a trip in Sabah will not be complete if you will not visit Monsopiad Cultural Village, so I included this in our itinerary. Since we did not want to get lost and we want to save time, we rode taxi even the price is steep. RM100 taxi ride vs RM3 bus per person. 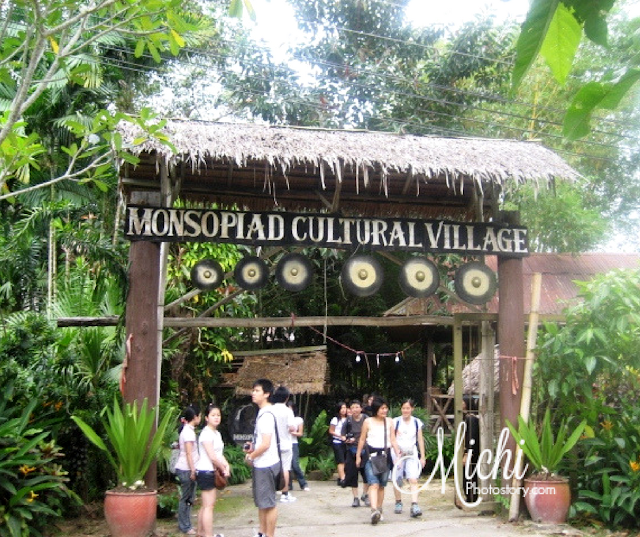 Monsopiad Cultural Village is a historical site in Sabah so you will learn more about their history by visiting the village. Aside from that, they will show you how Kadazan people live before. If you like history, you will enjoy this tour but if not you can skip it. After our trip in Monsopiad Cultural Village, we asked the taxi driver to drop us at Seri Selara. He agreed but he asked for additional RM10. 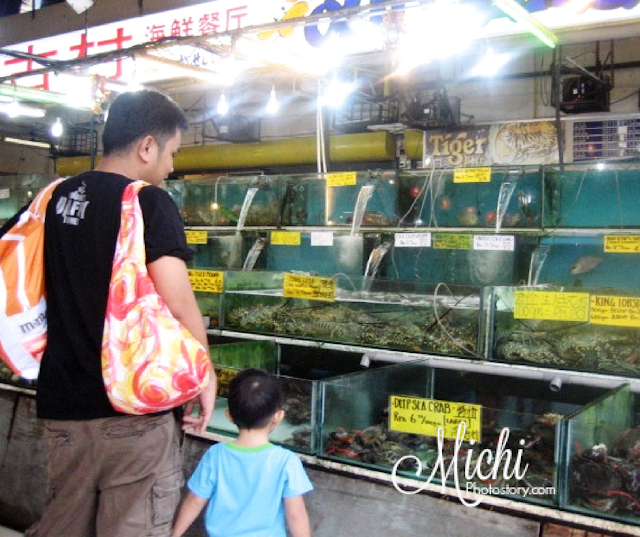 Seri Selara is an open-air seafood restaurant so don’t forget to include this in your itinerary. This is like Dampa Restaurant here in the Philippines, where you can choose the seafood from the glass tanks and they will cook it for you. 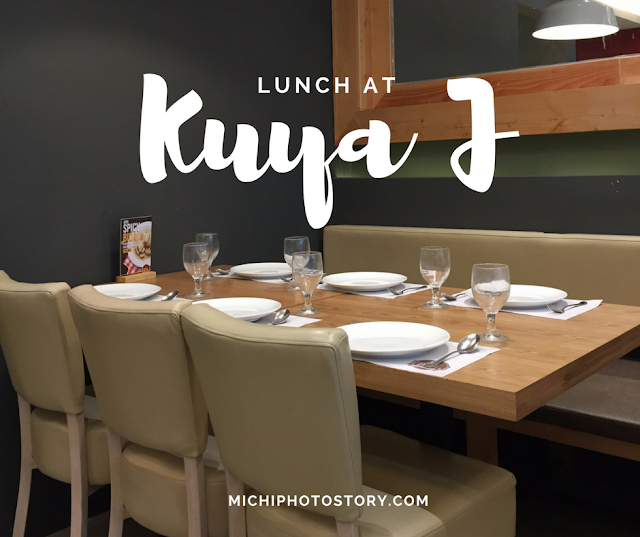 We enjoyed our food trip here, there is Filipino staff here and he gave us discount. From the restaurant, we just walked back to City Park Lodge. The following day, we woke up early to take advantage the Gaya Street Sunday Market. From its name, it is only open every Sunday from 6:30 to 1PM. You can buy souvenirs, clothes, foods and other stuff. I bought some souvenirs and pasalubong here. Since we are a budget traveler, we did not book any tour package so we just hired taxi driver to tour us around for 3 hours. 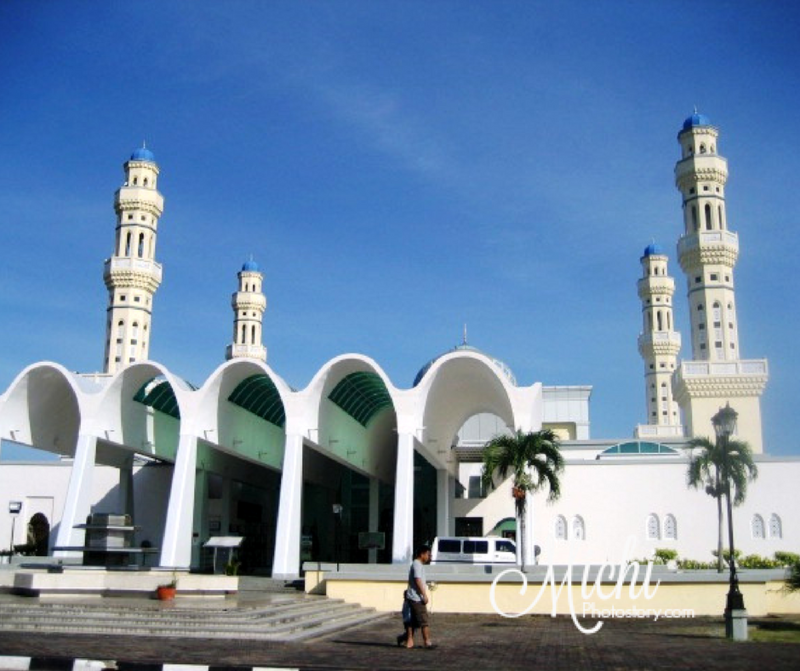 We visited Signal Observation Hill, Wisma Tun Mustapha (Sabah Foundation Building), Pu Toh Tze Buddhist Temple, State Museum, State Mosque and Handicrafts/souvenir Center. It was just a short city tour since we have to go back to our lodge to get our luggage. After check-out, we went straight to the airport so we won’t miss our flight. Note: If you still have time, you can also visit Brunei, you need to ride a ferry boat from Kota Kinabalu to Brunei. 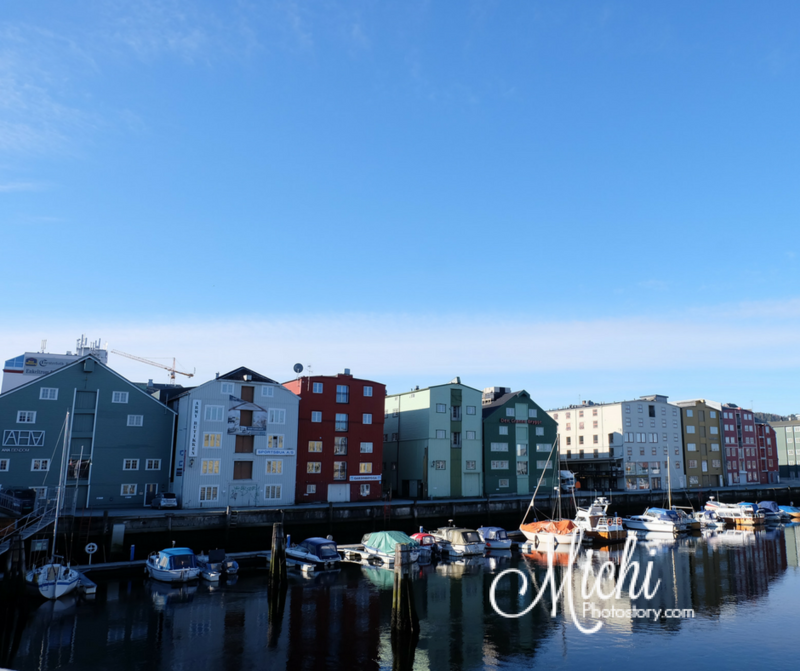 Trondheim is the third largest city, the Viking capital, the religious capital and third populous place in Norway. According to Wikipedia, as of January 1, 2016, they have 187,353 people. It is situated in Sor-Trondelag where Nidelva river and Trondheim Fjord meets. 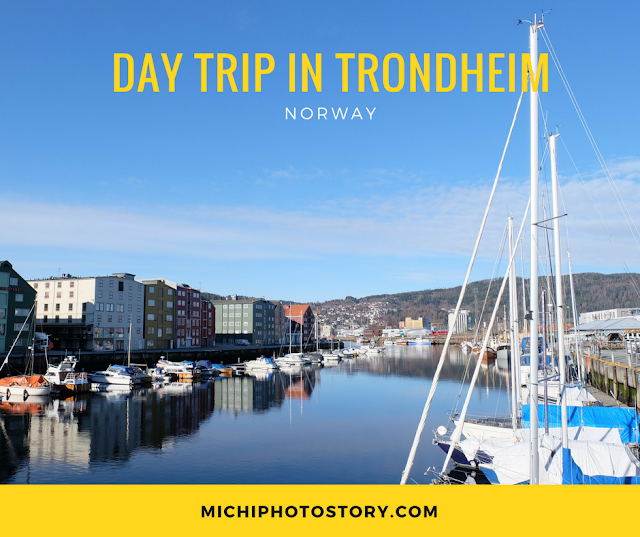 During our summer vacation in Norway, we’ve been to Trondheim several times. First is when we arrived from the Philippines, next is when we went to Røros, when we accompanied my husband to Trondheim Bus station, when we went to Iceland and lastly when we went back to the Philippines. Among the five times that we’ve been to Trondheim, we had one day to explore the city or should I say few hours only. 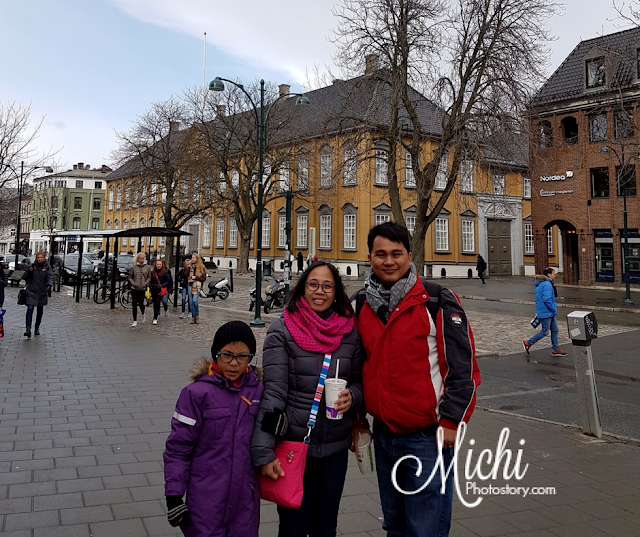 We planned to have a Day Trip in Trondheim before my husband went back to the Philippines but unfortunately, our plan was not pushed through because we could not leave early. My mom needs to attend a funeral, sakto pa talaga sa trip namin. We had no choice but to wait for her. We also need to consider the schedule of the Ferry Boat, so we were in Trondheim past 2PM na. 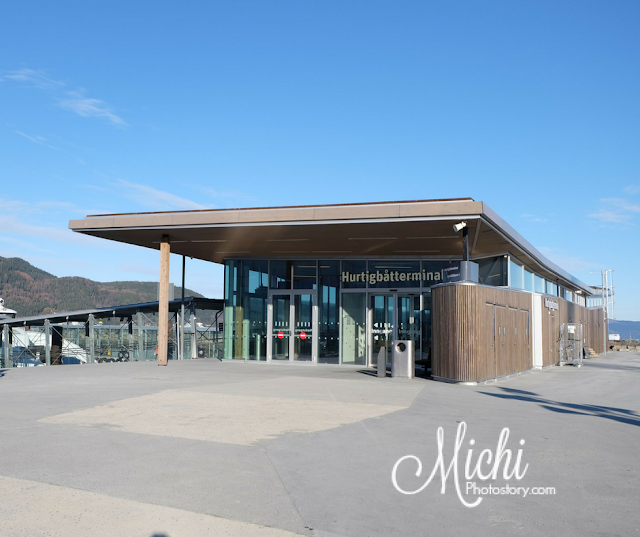 Upon docking, we immediately went to Trondheim Train Station so we can store the luggage of my husband before we start our walking tour. 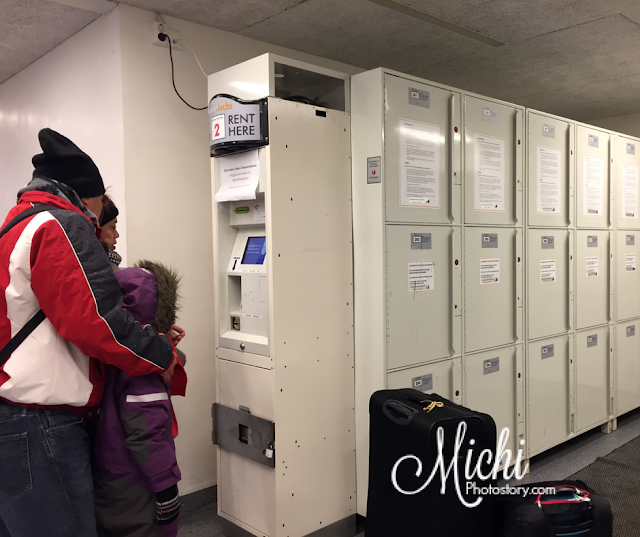 The locker was big enough, one 30kls luggage and one hand-carry luggage were able to fit inside. 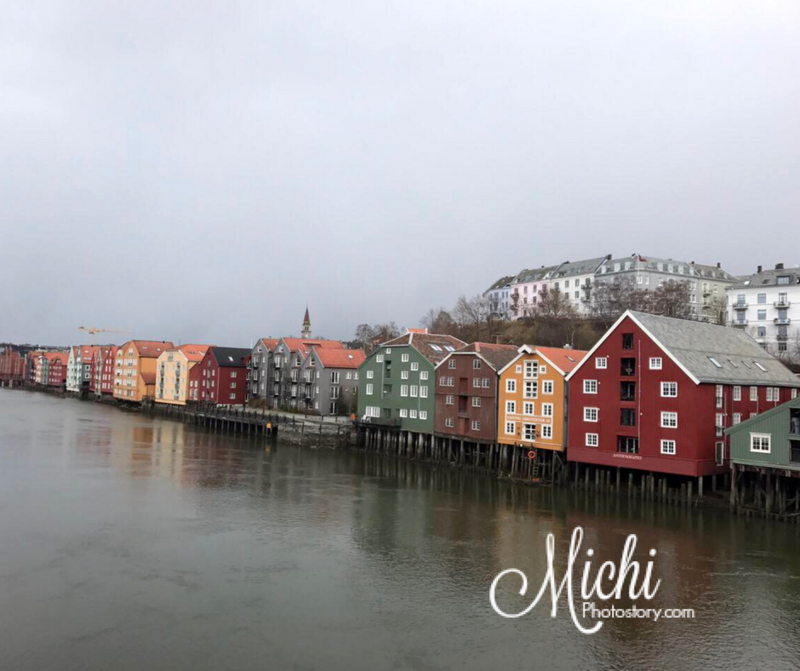 The weather was not nice but rain or shine we started our tour in the city of Trondheim. We don’t have an itinerary or map so we literally just walk and look for the tourist spots. We’re happy to see another side of Norway, we’ve been seeing mountains and seas for the past two weeks so finally, hello cityscape. 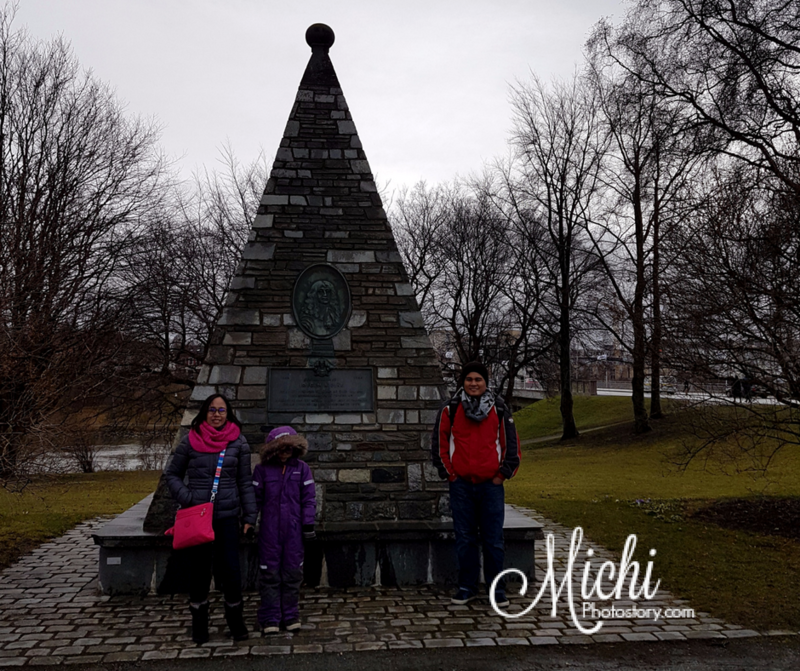 I’ve been to Trondheim before because my aunt invited us to stay in her house for few days so we were able to see the city but it was loooong time ago and all I can remember is we went to the Royal Residence and Tyholttårnet. Sharing with you, our walking tour. 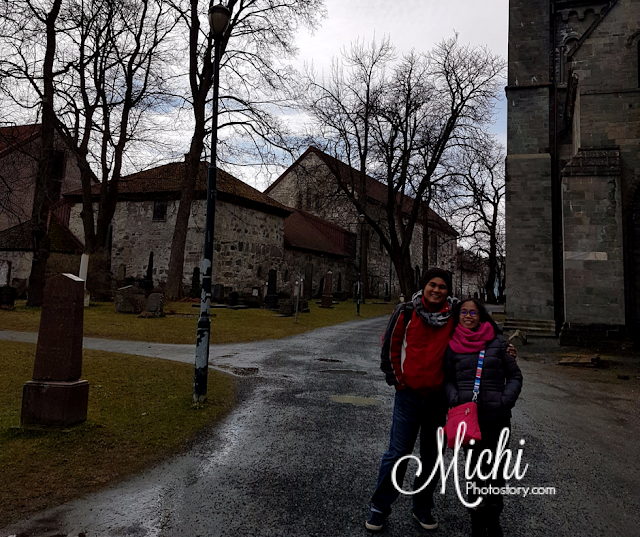 Munkholmen is an islet in Trondheimsfjord, it used to be a fortress prison, monastery, a place of execution and a World War II anti-aircraft gun. We always see this fortress whenever we ride the boat on our way to Trondheim. This is a popular tourist spot so if you want to see the fortress up close, you need to ride a boat. 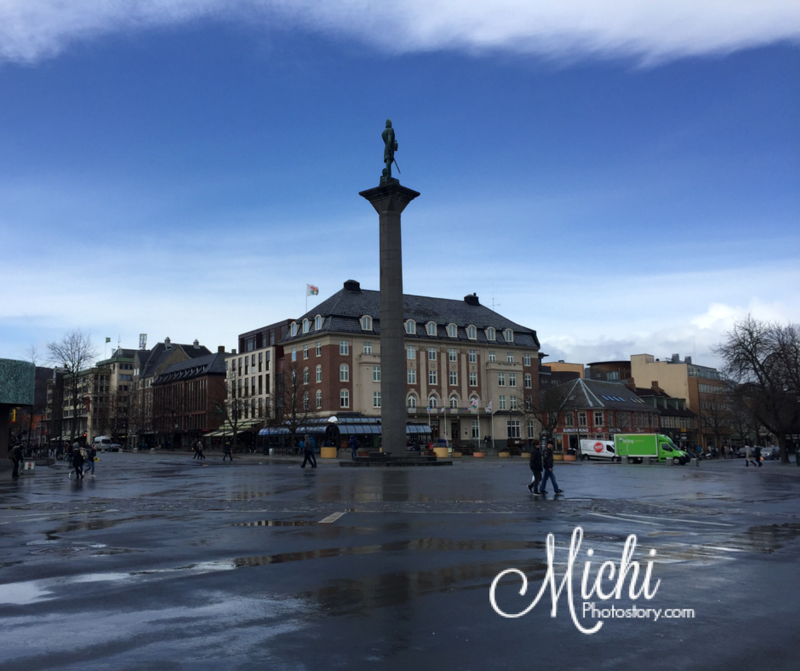 The 18 meter Saint Olav’s Statue is located at the center of the city square of Trondheim. 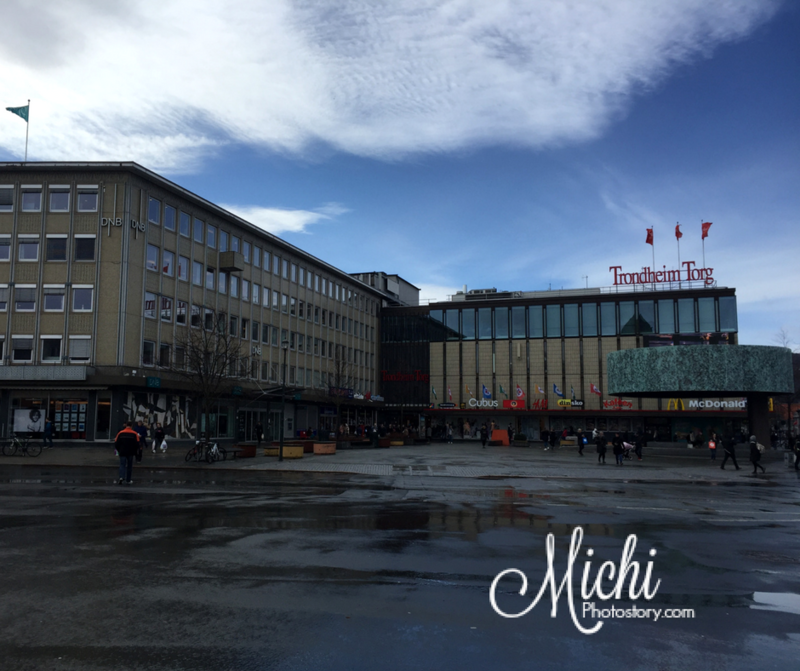 It is near the Trondheim Torg and Royal Residence. You can see a cobblestone around the statue which serves a gigantic sundial. St Olav was a King of Norway who built the first church in Norway, who founded the Trondheim city and who played an important role why Norway became a Christian country. 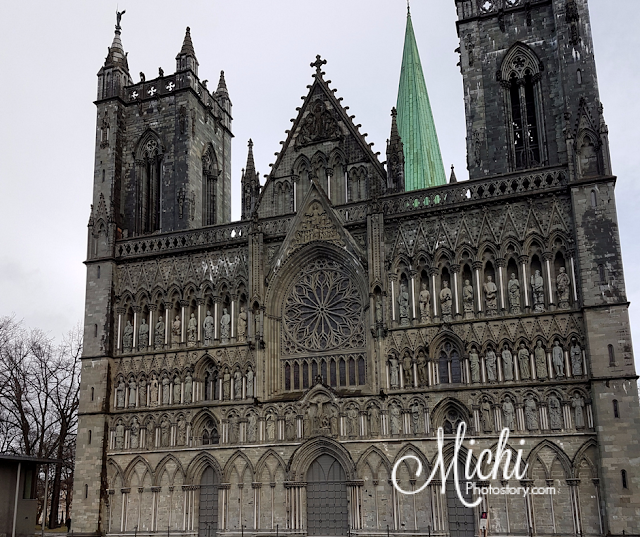 Nidaros Cathedral is the biggest church that I’ve seen in Norway so far. 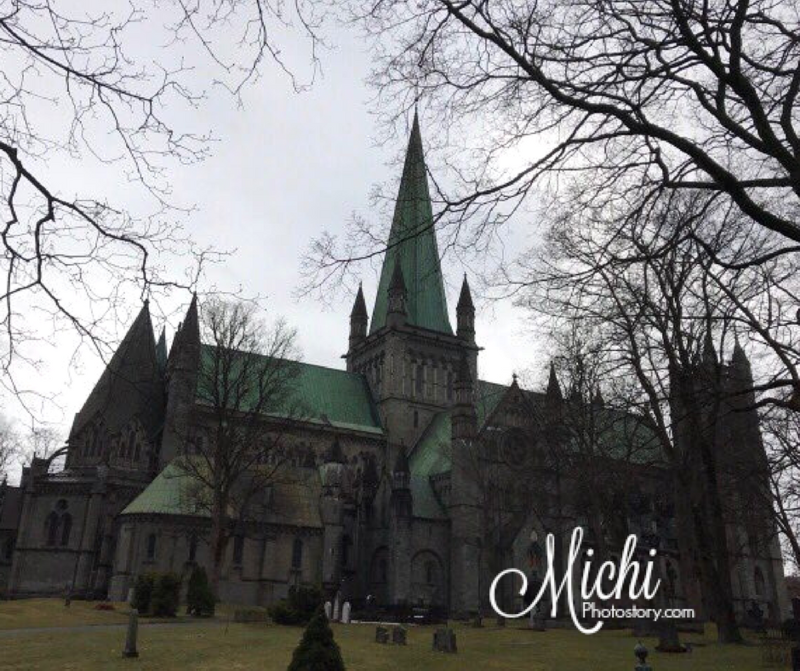 It is the biggest church in Northern Europe and it was built over St. Olav’s grave in the year 1070. 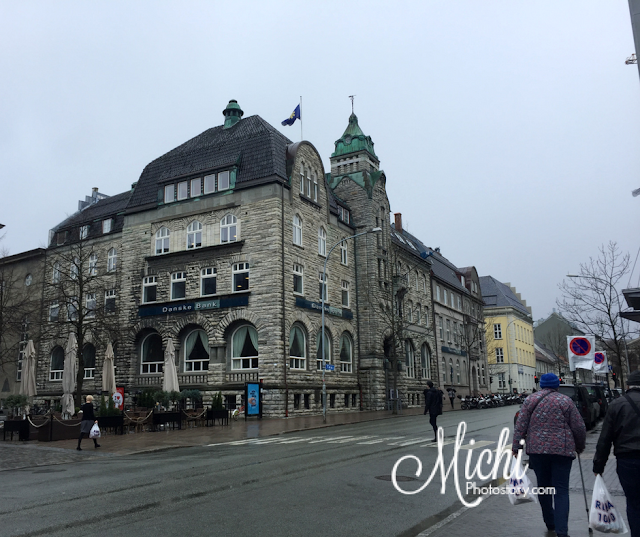 It is where the consecration of the King of Norway held. Unfortunately, we were not able to see the interiors of the church because it was already closed at 2PM. There is cemetery beside the church too. 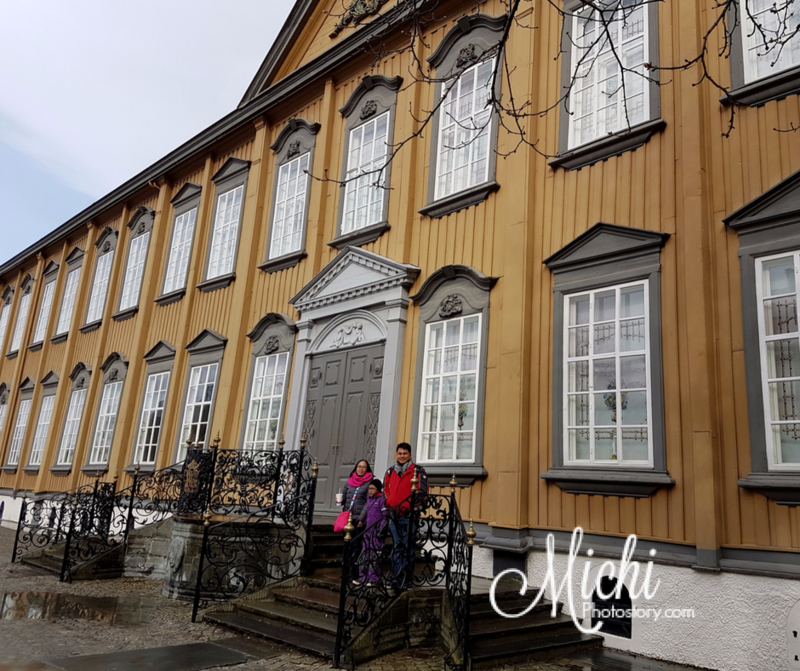 Beside the Nidaros Cathedral is the Archbishop’s Palace where you can see the archeological museum. But same fate, it was already closed so we were not able to go inside. 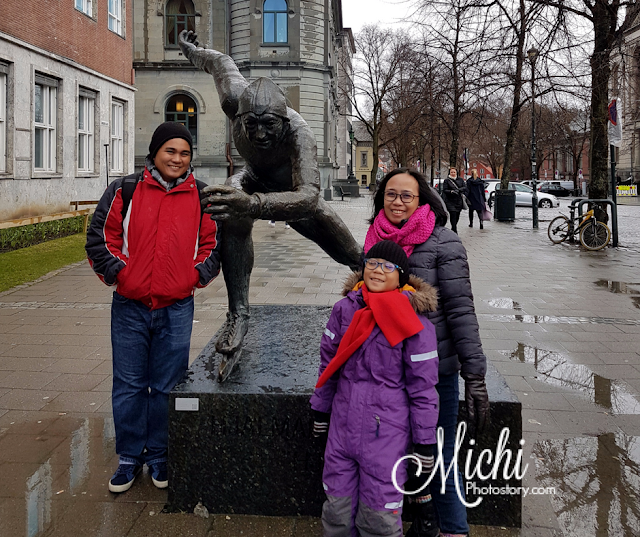 My son was not in the mood already, he doesn’t like to walk and he doesn’t like to take pictures anymore so we decided to finish our walking tour. 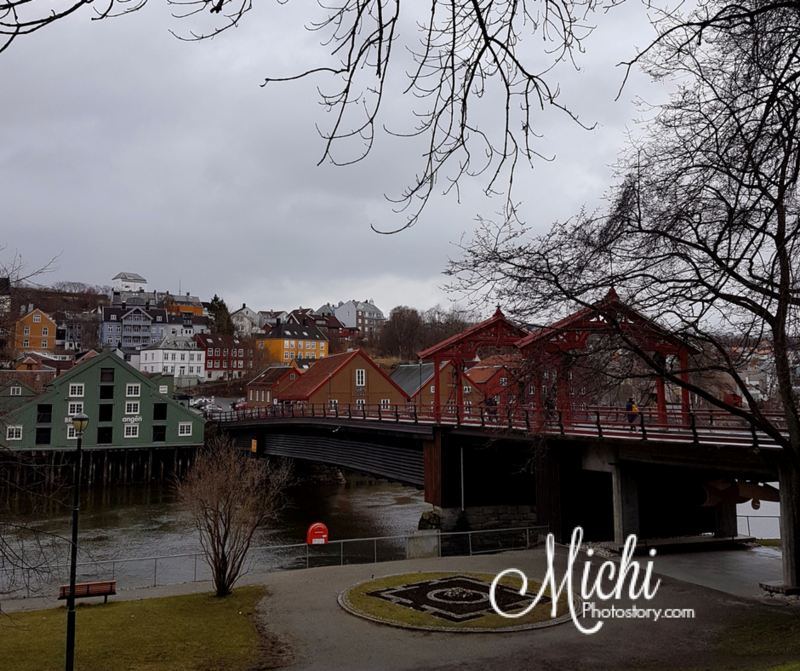 We just went to the bridge before going back to Trondheim Torg to eat. 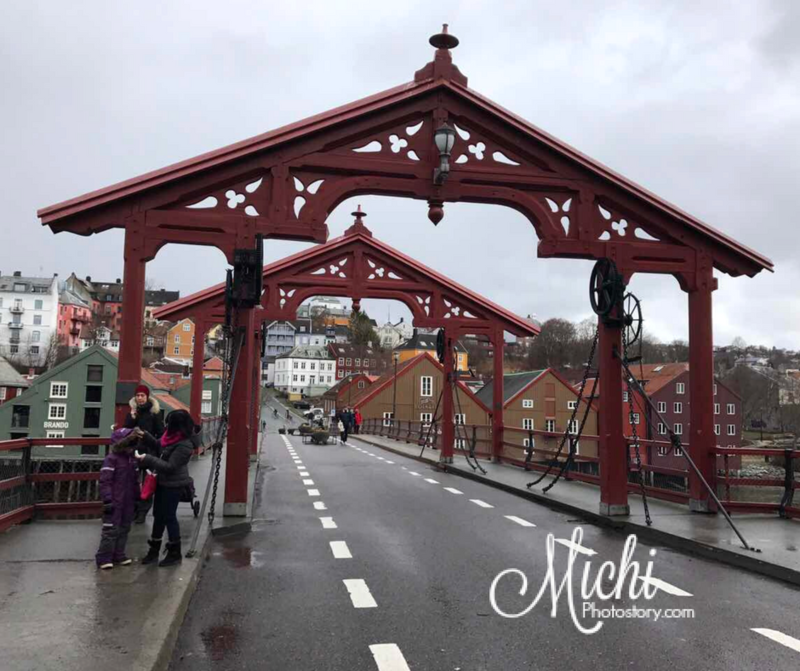 Bakklandet is a neighborhood located on the east side of the Nidelva river between the famous bridge, which is Gamle Bybro and Bakke Bru. It is known for wooden houses and narrow streets. We ate at McDonald's. They say that Norway is very expensive country and I would not deny that. 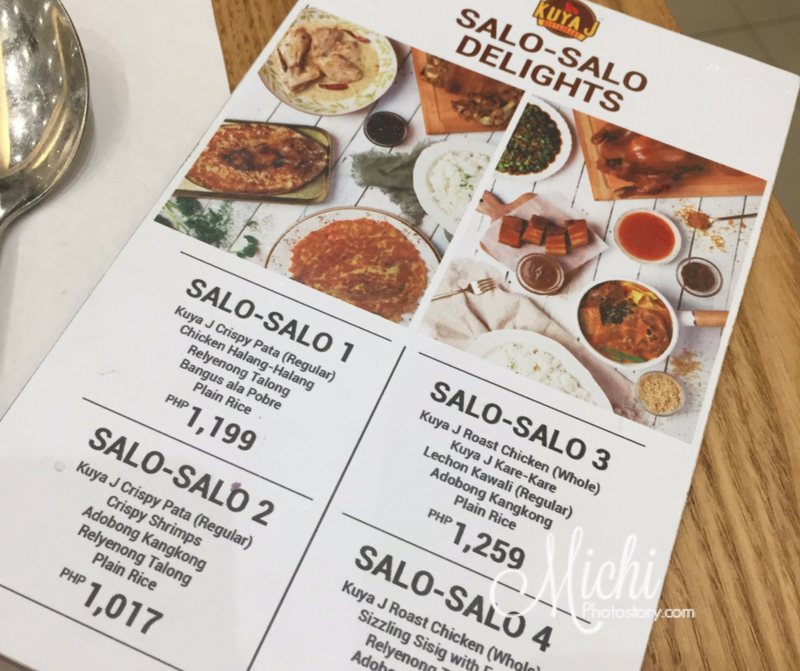 We just ordered snacks for 4 persons and our bill is more or less P1500. Pero kung sa Pinas baka wala pa P600 yung order namin. Even this is fastfood, it took them so long to prepare the order. After eating you need to clean your own table. 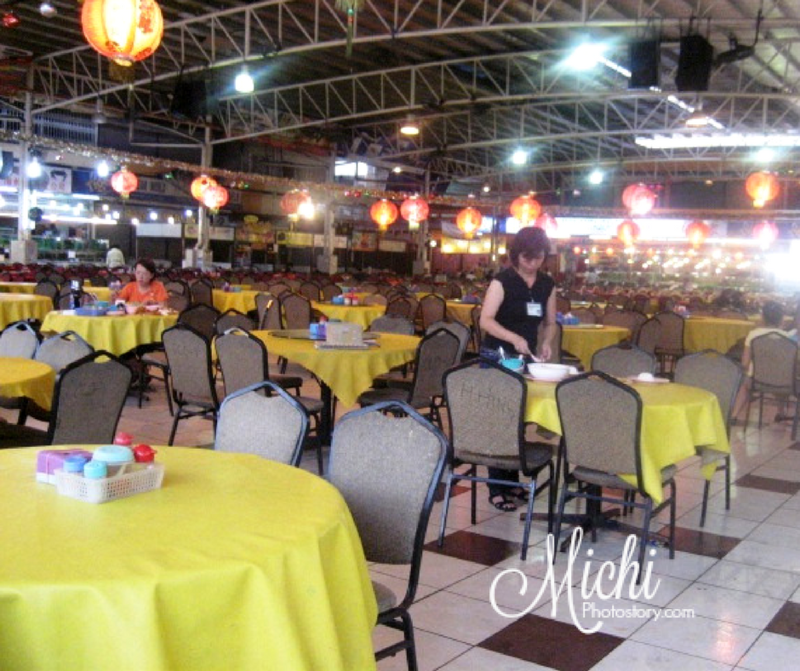 No staff that will clear the table for you, self-service lahat. While walking, we’ve been seeing a lot of yellow buildings and my mom kept on saying, “Baka yan na yung Royal Residence” so she kept on taking pictures of us basta may yellow. Lol But I told her na malaki yun, hindi yan yung nakita ko dati. On our way back to Trondheim Torg, we finally saw the Royal Residence. Nasa right side pala siya, nagturn left kasi kami agad. Stiftsgården was built in 1774, it has 140 rooms and probably the largest wooden building in Northern Europe. 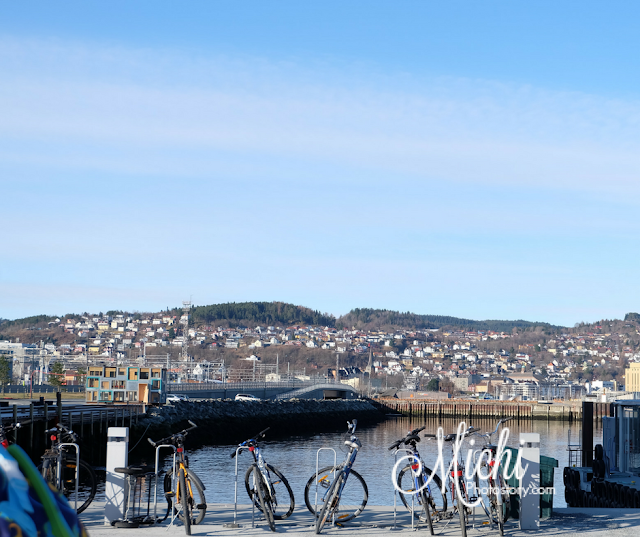 It is being used by the royal family and guests when in Trondheim. We just took a quick photo and we went back to the train station to get my husband luggage. How I wish, we have more time to explore the city but we need to catch the boat and my husband needs to rest for his long haul flight. 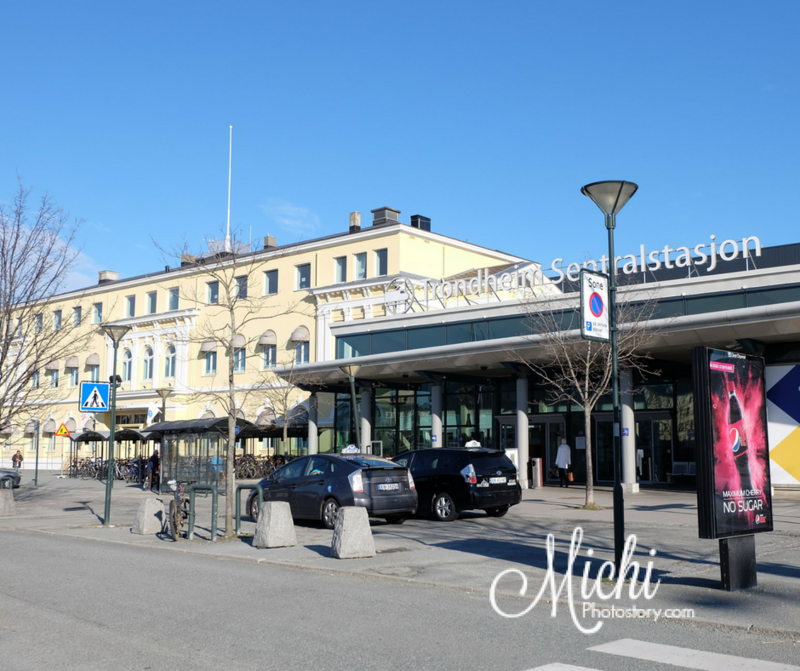 We accompanied my husband at Trondheim Bus Station, we did not go with him anymore to save bus fare. NOK150 one way per person is not cheap. 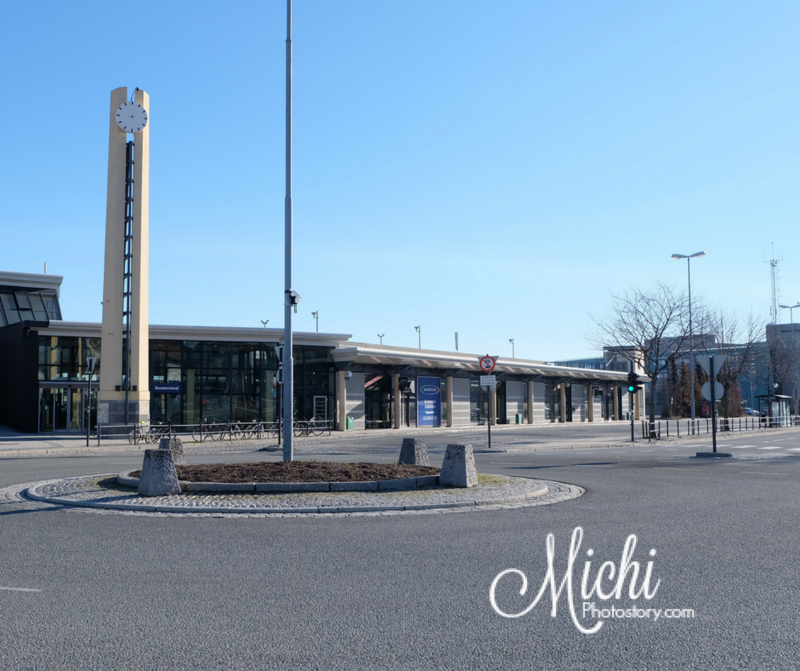 The bus is straight to the airport where Radisson Blu Hotel is located. My husband spent the night in the hotel to catch his morning flight the follwing day. Then we ran to the Ferry Boat Station, buzzer beater kami, we’re the last passengers to get in. Good thing inabot namin, or else we need to wait few hours for the next boat schedule. My sister fetch us at the seaport. 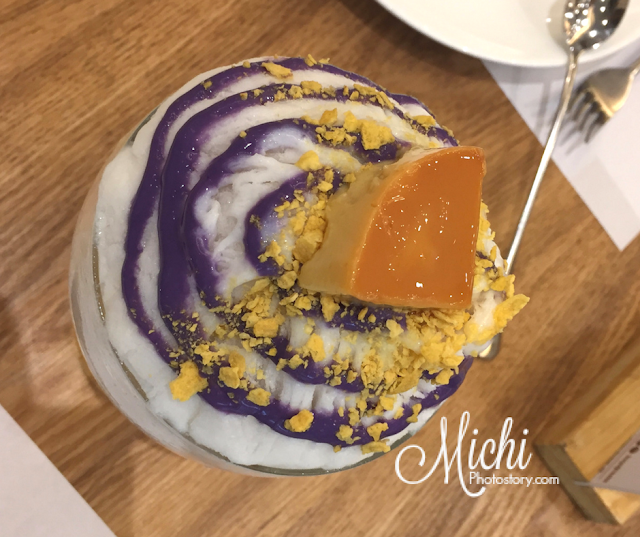 We went to S&R Nuvali last Saturday, it’s been months since our last visit. My son wanted a specific brand of milk and it is not available in the grocery that we always visit. Out of stock yata, mga 1 month na wala siya stock so we went to S&R to buy his milk. After doing our grocery, I asked my husband kung saan kami maglunch and he suggested Kuya J. I said, kakaKuya J lang natin few days ago so I suggested Rose & Grace. (nagtanung pa ko noh, ako din masusunod) hehehe! 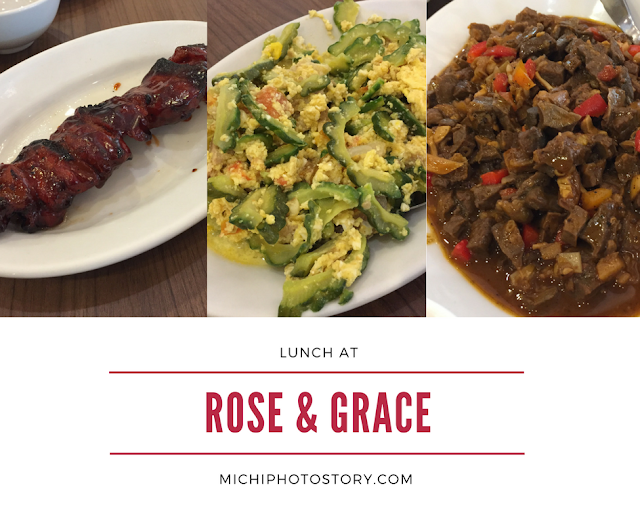 It’s been years since our last visit in Rose & Grace because we were not satisfied with our last visit. Read the story here. But since we are looking for affordable Filipino restaurant, we paid a visit again. Rose & Grace is a level-up carinderia where you choose your food at the counter and they will reheat it for you. 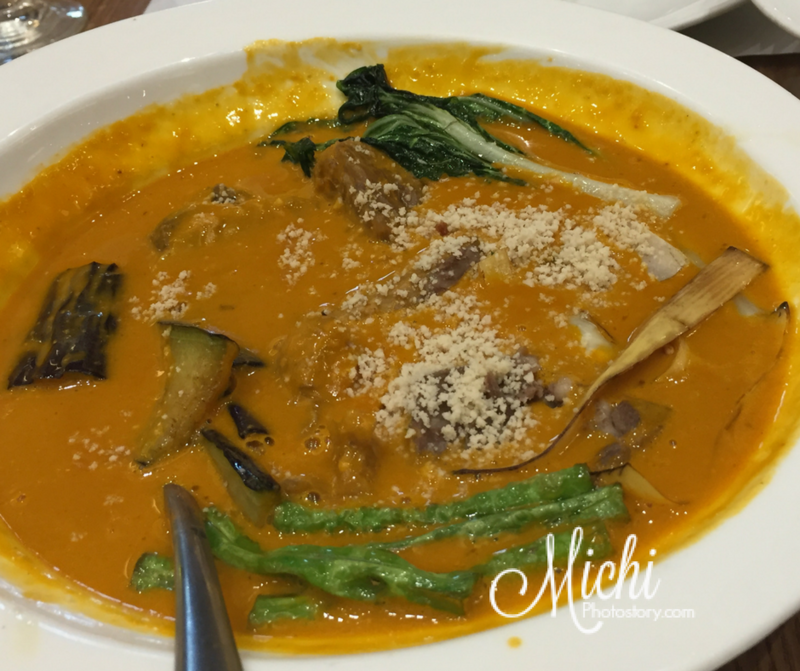 They also serve complimentary bulalo soup which is refillable too. We just ordered bopis, ampalaya, bbq and rice. 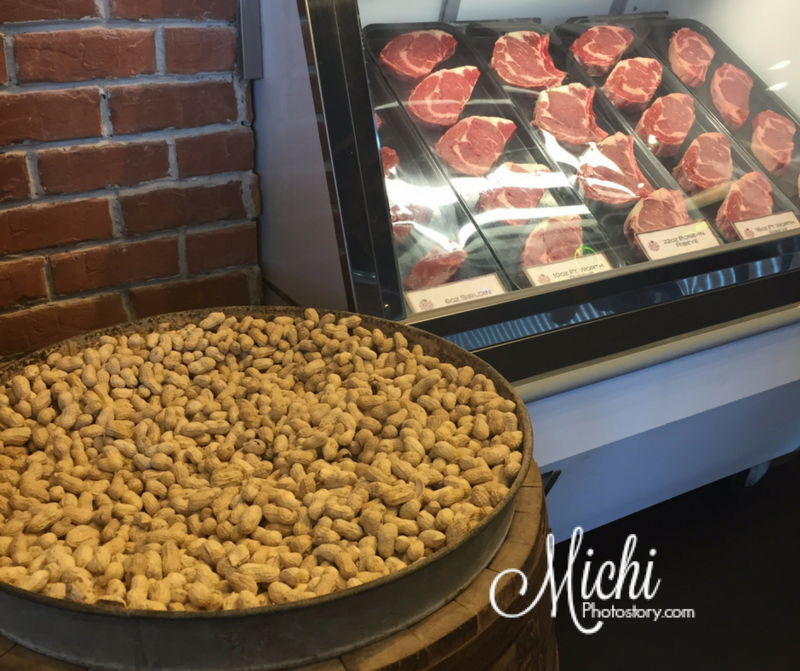 If you are a regular reader of this blog, you know that bbq is one of my son’s favorite food. 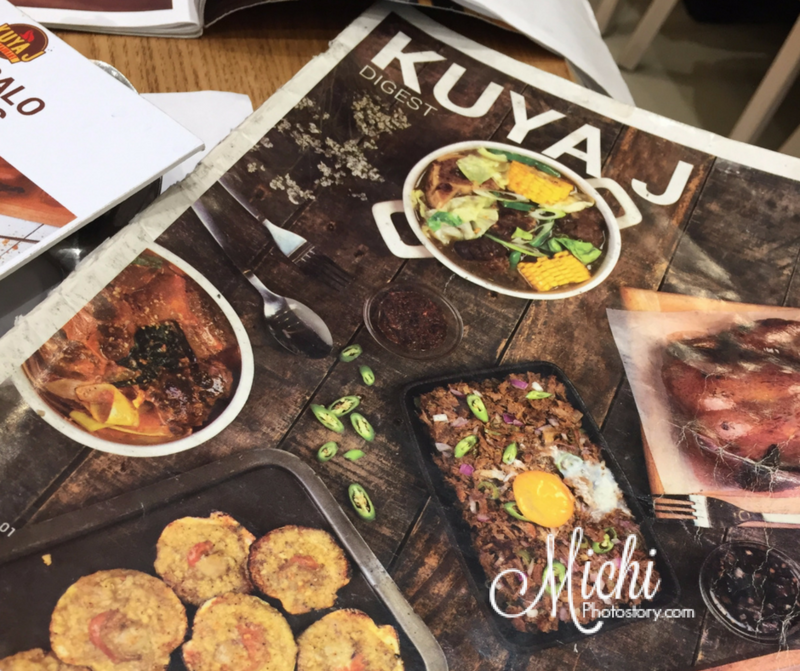 So if there is bbq in the menu, 90% yan ang order niya. I was not able to check the price of each meal but the bill is P600+ (4 persons) so parang mas mura pa sa fastfood noh? 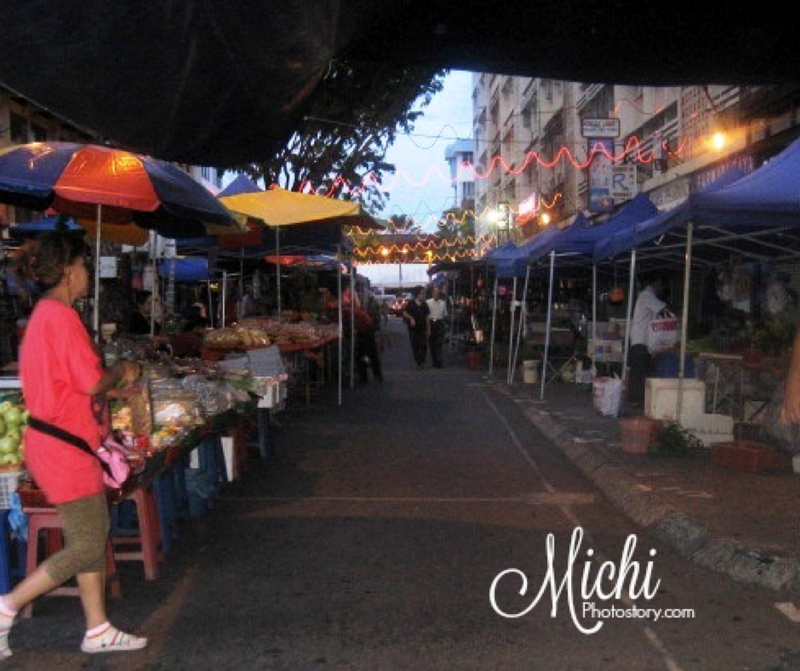 Rose & Grace also sells imported chocolates and cookies, famous pasalubong and toys. 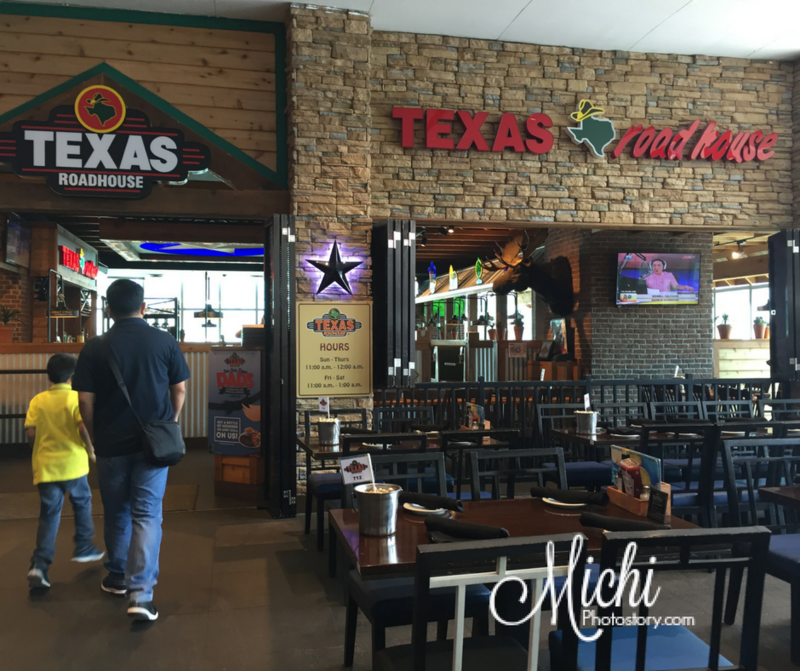 Since we are going to celebrate Father’s Day at Mind Museum, I asked my husband if we could eat at Texas Roadhouse. 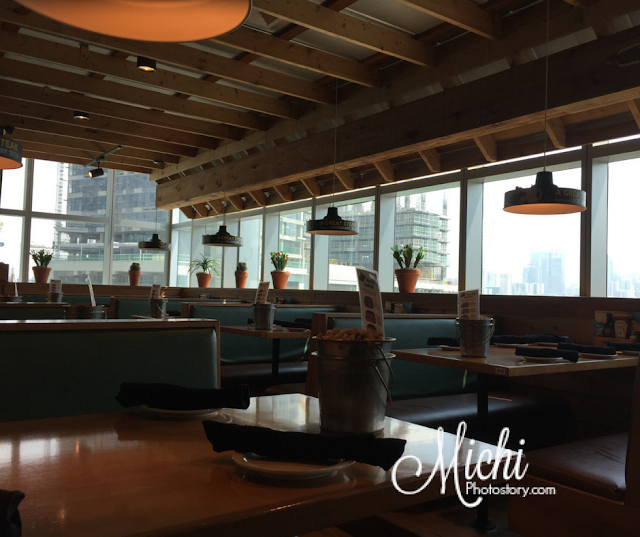 My husband was able to try this restaurant when he was in Austin Texas last February. He was so satisfied with the food and service so when I’ve learned that they already have branch in the Philippines, nagkaroon ako ng hope na matry. 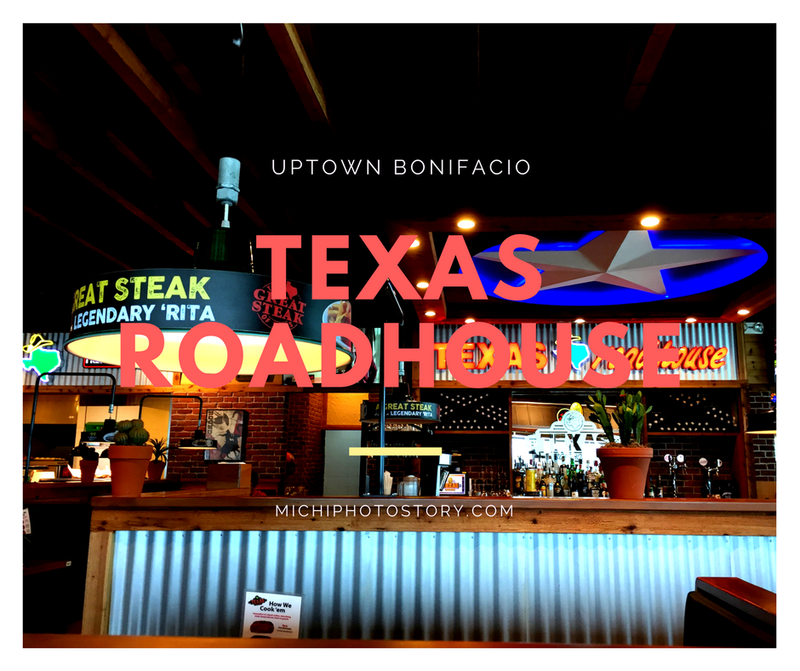 There are two branches of Texas Roadhouse, you can visit the branch in S’ Maison Conrad or Uptown Bonifacio and we chose the latter. Knowing that it is Father’s Day, we had an early lunch, as in past 10AM nandun na kami and we were the first diners. The staffs greeted my husband "Happy Father's Day"
Looking at the interiors of the restaurant, it is similar to the pictures of my husband. 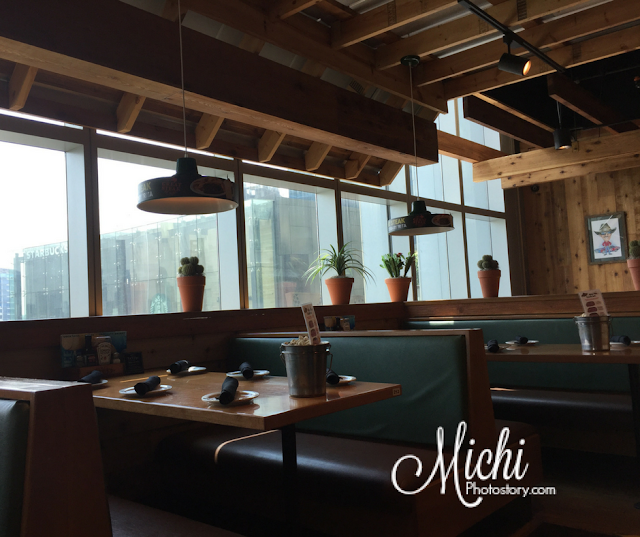 (the photos that he took in Austin) There are televisions and different display of deer too. 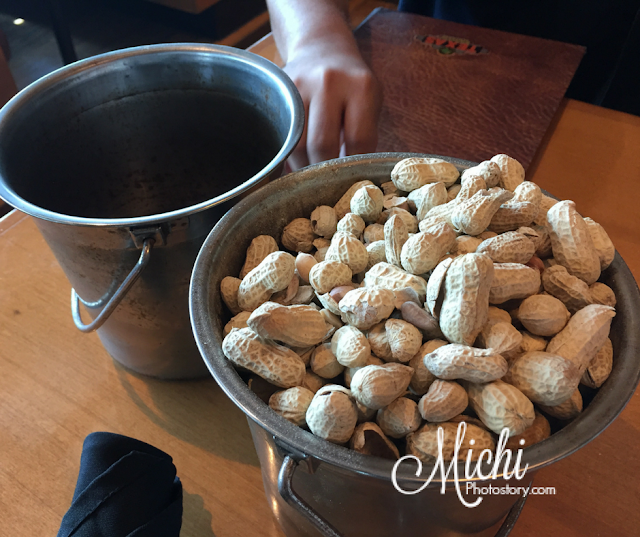 The staff ushered us to our table and gave us one bucket of peanuts and one empty bucket. I mentioned before that they have unlimited servings of peanuts, yes you can eat all peanuts you want. But you need to put the empty shells in the bucket unlike in USA, you can just throw the peanut shells on the floor. The staff informed us, na 6oz lang daw yung Sirloin and hindi katulad nung steak na nasa menu. 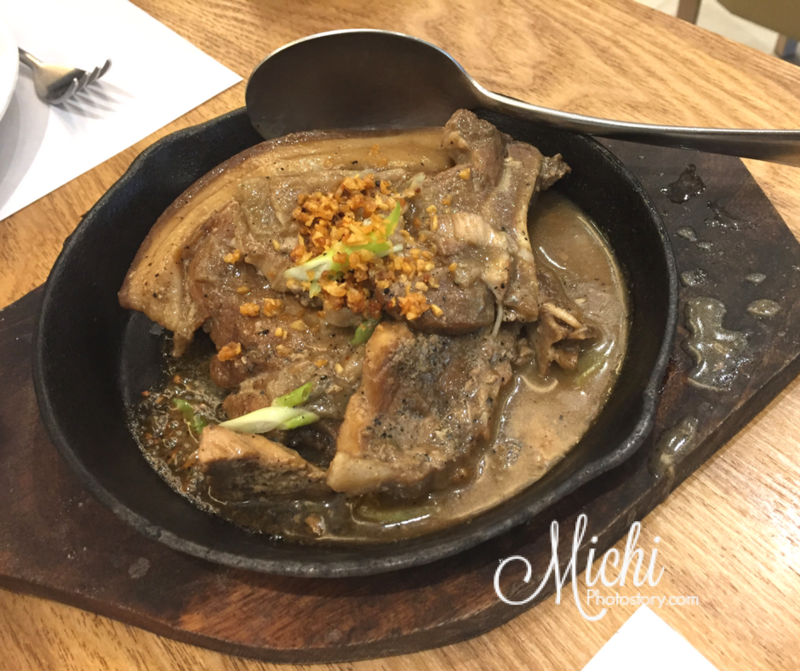 But we still ordered Sirloin at mahal yung ribeye, hehehe!. 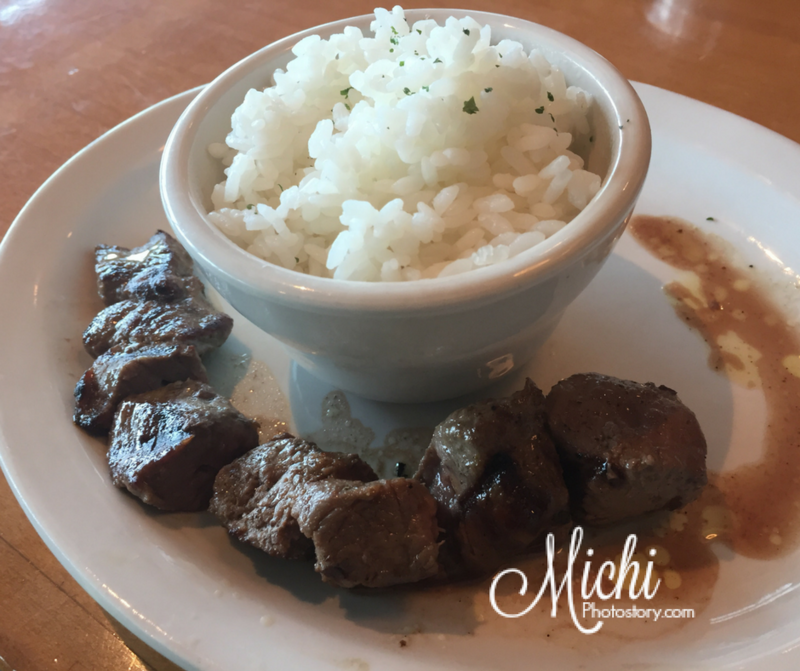 We know that we can’t finish big servings of meat, just like our experience in Melo’s. 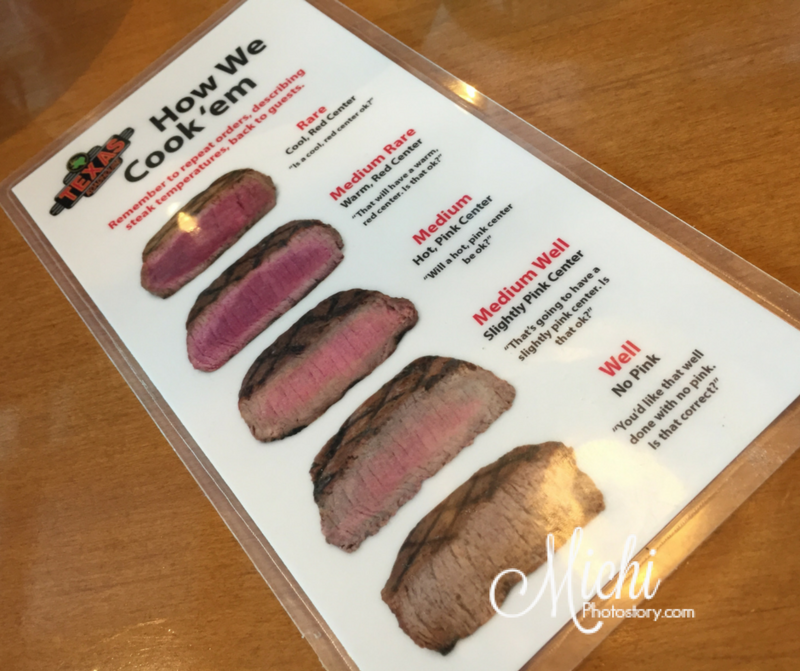 When I saw this picture “Steak Guide” on the table, I remembered the very first time that I ate and ordered steak. 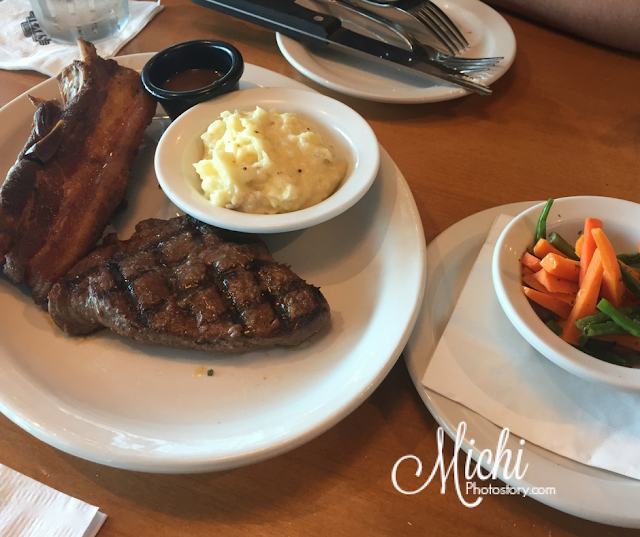 At that time, I just started working and I wanted to treat myself so I ordered steak. The staff asked me if ano daw gusto ko luto. Napastop ko ng slight because I really have no idea so the staff informed me the different doneness of the steak. So for first timers, okay na may guide na ganito noh? Not all restaurants have this guide. Moving on, aside from the peanuts, they also gave us complimentary dinner roll. The bread was so good that it was gone in 60 seconds. 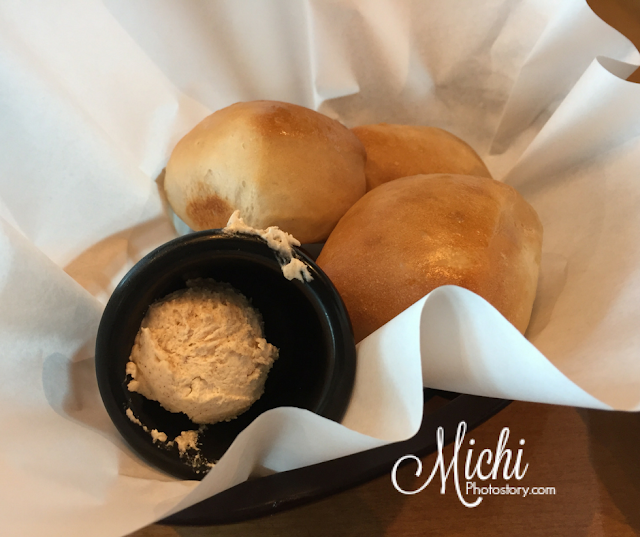 The staff went back to our table and she asked if we want to refill the bread and we were so happy that it is not a one time serving. For diners, the bread is free and refillable but you can buy the bread for P10 per piece. I told my husband, sana drinks na lang pala inorder ko. Bubusugin ko na lang sarili ko sa peanuts and bread. Hehehe! But honestly, I like restaurant who serve peanuts and complimentary bread because you have something to eat while waiting for your order. After several minutes, our food came. 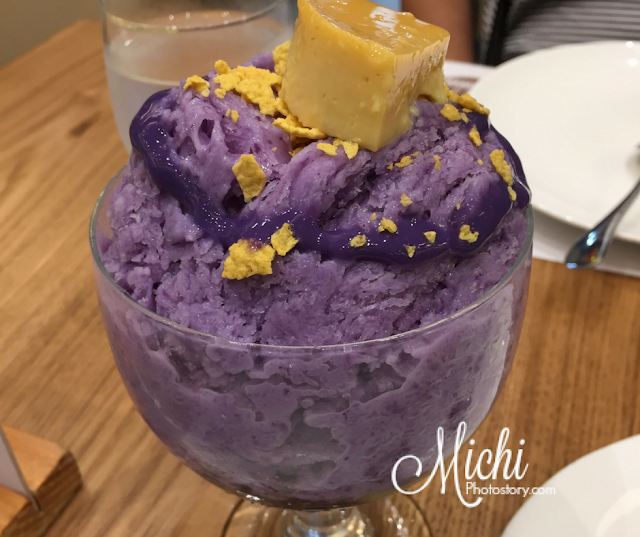 After tasting the mashed potato, I can definitely say that their side dishes are made-from-scratch, ang layo niya sa nabibili na instant mix na mashed potato. We enjoyed the food that we ordered, mukhang di lang maganda sa picture. hehehe! The price is on the expensive side but if I want to eat steak, I will consider Texas Roadhouse. The service is also good, they always check if we need something.